An embryology laboratory is a specialized lab providing the complex service of preparing sperm and eggs to form embryos and keeping those embryos in an environment that fosters their growth and development. The embryology lab is unique from other labs in that the environment must be tightly controlled so the conditions can mimic those of a woman’s fallopian tube and uterus. This is accomplished by some very scientific and expensive technology. The embryology lab is the heart of the IVF center and is critical to the success of IVF treatments. The California IVF lab has been specifically designed to maximize the environmental conditions that can influence pregnancy outcomes. Every aspect of the lab must be considered when setting up a modern IVF embryology lab. The modern lab must be designed to take into account very technical air purification equipment, temperature control, gas supplies, engineered flooring to minimize vibrations, and access control. As pregnancy rates continue to improve, IVF labs need to be specifically designed for the important role they play in pregnancy outcomes. Retrofitting an existing building will usually not produce the desired rates of pregnancy seen in the next generation of IVF. California IVF’s embryology lab was not only built to optimize pregnancy success, it was built to serve as a model for future IVF centers. In addition to having a facility that provides optimal conditions for developing embryos, the embryology staff must perform embryology services with the goal of optimizing pregnancy rates. There are many different procedures and services supported by an embryology lab. After the eggs are collected from the retrieval procedure, the embryologist uses a specialized hood with a heated surface, controlled air, and a mounted microscope. Air hoods such as this one are very expensive and are built especially for embryology work. All work surfaces are heated to a consistent temperature which remains uniform across the work surface. Supplied gases are filtered to remove impurities and substances that could be harmful to developing embryos. The hood can be used for multiple purposes, though the egg identification process is one of the first steps of the IVF process. The embryologist receives eggs from the egg retrieval procedure. The heated work surface and microscope of the hood are used to identify the eggs and move them into dishes where they will remain until fertilization or oocyte cryopreservation. Before the sperm can be used to fertilize the eggs, it must be processed. During the processing procedure the motile sperm are concentrated. A microscope is used to estimate the number of moving sperm present. Sperm are prepared for conventional insemination (placement of the sperm into a dish with the eggs for natural fertilization), or ICSI (injection of an individual sperm into an egg). This work station can also be used to prepare and evaluate sperm for intrauterine inseminations. The micromanipulation microscope is a vital part of the embryology lab. This microscope is used for precision work such as ICSI and embryo biopsy for PGS and PGD. The control pads on the side of the microscope are used to move the instruments under the microscope. Without these controls, the instruments would shake too much and would move too rapidly. The base unit of the microscope is warmed by a temperature control device so the work area maintains body temperature throughout the procedure. The ICSI microscope is one of the most expensive pieces of equipment in the embryology laboratory. The majority of the cost of IVF is related to the embryology laboratory and the specialized equipment that is required to maximize the chances of a successful pregnancy. The incubators control the temperature, gas mixture, and pH of the embryo culture system. The incubators must keep the conditions very similar to the conditions found within a woman’s reproductive system. Digital controls and an automated alarm system keep the incubators operating within the desired range. Embryos will spend the majority of their 3 to 5 days in the incubators. There are many different types of incubators and culturing solutions that can be used. Each lab needs to match their own incubation system with the most optimal culture system for the best possible outcome. The embryologists at California IVF are constantly monitoring all different aspects of embryo development and treatment outcomes. Not all labs are equal. Many labs simply copy standard approaches to embryology. California IVF strives to avoid the status quo that affects so many labs. We are constantly looking for new ways to improve the efficiency and quality in all aspects of fertility treatments. Insert highlight feature or blog post on building the future IVF lab. Methods for freezing eggs and embryos has gone through a recent revolution which has led to higher rates of success for oocyte and embryo cryopreservation. One of the biggest risk to tissues that are frozen and thawed is ice crystal formation. The older method of slow freezing used temperature control units to carefully transition from liquid to solid states while minimizing ice crystal formation. The system appears relatively simple, but the control unit is actually a programmable computer that controls the rate of freezing to allow for desired freezing conditions. While the slow freeze methods have worked well for many years, the pursuit of egg freezing led to a newer and superior freezing technique. Vitrification is an alternative to using programmable freeze control units. California IVF has been able to fine tune the vitrification process to result in excellent outcomes with both frozen eggs and embryos. Advances in vitrification have given way to successful fertility preservation programs through egg freezing and embryo freezing. Vitrification offers a 20% or better improvement in success with frozen embryos and has changed the approach to IVF. Vitrificaiton avoids ice crystal formation by initially collapsing the egg or embryo and plunging it into liquid nitrogen using a very small holding device. The rapid transition from a liquid to solid state prevents damage to the cells being stored. There is a slight risk of eggs and embryos disintegrating during the freezing and thawing process though the risk is extremely low. The improvement in survivability and quality obtained with vitrification far outweighs the low rate of loss. Currently the recovery and survival rate for vitrified embryos is 95%. Cryo tanks contain liquid nitrogen and are used to store eggs, sperm, and embryos for long periods of time. The liquid nitrogen levels are monitored by regular checks and an alarm system. Tissues can be stored indefinitely without damage. Over time, the laboratory has to add additional cryo storage tanks to keep up with the growing inventory of stored sperm, eggs, and embryos. By saving eggs and embryos, the effect of advancing age will not affect the stored tissues. A woman storing her eggs in her late 20’s or early 30’s will be able to use the eggs at a later time in life without the normal age related reduction in fertility. Couples are able to store extra embryos for use at a later time. If they are successful with their treatment, they can return a few years or many years later and use the embryos that have been stored in liquid nitrogen. Another critical component of an embryology lab that cannot be seen is the air. The embryology lab air must be clean and at the right temperature and humidity. The air also needs to be free from organic chemicals, bacteria, and spores. California IVF Fertility Center has a specially engineered air filtration system designed in conjunction with an HVAC engineer. The embryology lab air system must be completely separate from the remainder of the building and must have controls that allow for optimal air quality and positive pressure within the embryology lab. 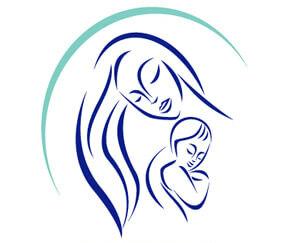 California IVF has designed and installed a complex system with the goal of optimizing success. The system is tested on a regular basis to be certain the airborne particles and organic chemicals are kept to a minimum. The fans also create a positive flow of air out of the embryology lab, insuring that outside air does not enter the embryology laboratory without first passing through the filtration system. The heating and cooling system not only has to maintain minimal variations in the laboratory temperature, it must also maintain the lab’s humidity. Though it is mostly invisible, the air filtration system remains one of the most critical pieces of an embryology laboratory. Our laboratory air system runs on a backup generator to prevent any deterioration in air quality even during a prolonged power outage. We are confident in saying our specialized air system will easily outperform after-market free standing units used by many other fertility centers. Outside of the laboratory, a diesel powered generator is on standby, ready to provide power the moment electricity is no longer available from the electric company. The generator is capable of powering the laboratory and allowing all normal operations to continue. This system is further augmented by a very large capacity battery backup unit capable of running all equipment without a generator. Having two power backup solutions gives our lab extra layers of security from unexpected power outages. California IVF Fertility Center has built a high-tech embryology lab for maximizing the conditions for success. While this adds to the expense of providing IVF services, the improvements in safety and success is priceless. Not every fertility center builds their embryology laboratory with the technology and level of detail needed in a modern IVF lab. At treatments and success rates evolve and improve, the embryology laboratory has been designed with the latest in engineering to move into the next generation of fertility service.